Sainsbury’s has posted a rise in sales but a slump in profits following a “pivotal” year for the supermarket chain and its £1.4bn takeover of Argos. Sales rose 11.6pc to £26.8m in the year to March 11, boosted by strong sales of electricals and toys at Argos, which offset the challenges within the food business. Like-for-like sales at its stores open for more than a year continued to be under pressure from food deflation and were down 0.6pc. Pre-tax profits were 8.2pc lower at £503m, compared with £548m a year earlier. 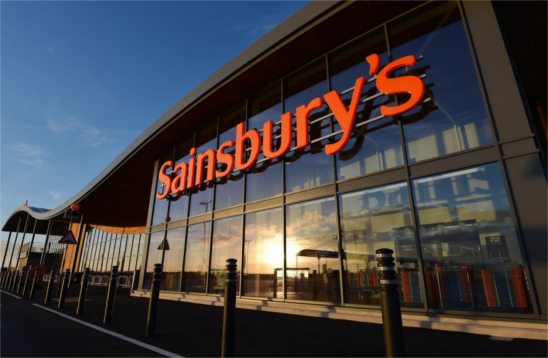 “This has been a pivotal year and we have made significant progress delivering and accelerating our strategy,” said Mike Coupe, Sainsbury’s chief executive. Sainsbury’s reported that its online food business grew by 8pc during the year while its convenience business rose by over 6pc. The company’s clothing business also outperformed the wider market, growing by 4pc despite a tough fashion retail environment. The supermarket said that that it would deliver £160m of savings from the Argos deal six months early and was accelerating its plans to open 250 Argos concessions within its supermarkets. In addition it plans to make a further £130m of cost savings this year and is committed to £500m of savings over the next three years.